April 2014 - KB Concepts P.R. What does a fully integrated brand look like? 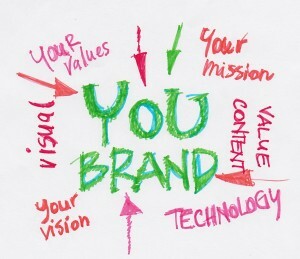 And how do you make your brand stand out amid all others? First, you have to know very clearly who you are: what you represent, why you are special, and what makes your product/expertise/cause worthy of someone’s business and support. Be sure you know what you do especially well, better than anyone else. What makes your brand the leader? As marketing expert Jim Jones explains, you want to be a “benchmark brand,” the one others look up to. Be the best and lead by example. This will guarantee a solid and successful brand. “In this ever-changing society, the most powerful and enduring brands are built from the heart. They are real and sustainable. Their foundations are stronger because they are built with the strength of the human spirit, not an ad campaign. Next, know your audience. You must have a very clear idea of who your best customer/supporter is, and how to build a meaningful connection with them through your brand. This is called positioning. You want your messages to be clear, consistent and to capture the essence of who you are. It should be aspirational, and evoke a positive emotional response in your target audience. Ultimately, this emotional connection builds brand loyalty. Nike did this beautifully when it created one of the best taglines of all time: Just Do It. That simple, empowering call to action, along with their signature swoosh logo, gave customers an intrinsic reward: they too could be sporty and just do it. They didn’t have to be elite athletes to have that wonderful feeling. To achieve this type of successful branding, it helps to have a unique, differentiating product or idea. Some companies or individuals, trying to stand out as an edgy brand, might purposely be controversial. Miley Cyrus comes to mind. But this can be risky, so one is wise to be very sure of your target audience and be prepared for negative reactions if you go this route. Most important to successful branding is clear, consistent messaging across all communications platforms: your website, social media, e-marketing, media relations, special events, advertising, and even your team. They too are part of your brand! They too need to know who you are and be able to deliver your organization’s mission and two-minute elevator speech with passion and conviction. With Target, for example, what do customers immediately think? Good value, trendy products, clean and well designed stores, one-stop shopping. With Target, you hit the bull’s eye (their logo): You Expect More and Pay Less (their tagline). With KB Concepts’ client Capitol Concierge, their tagline also says it all: Consider It Done! As a company providing concierge services to commercial office buildings and residential properties, CEO Lynda Ellis proudly says, “If it’s legal and ethical, we’ll get it done.” She has literally delivered a live goat from DC to New York City for a client’s birthday surprise (and arranged for a happy home after), and made all the arrangements for numerous unforgettable wedding proposals on the Eiffel Tower and other romantic locations. Capitol Concierge’s mantra is 100% service, 100% of the time. Every one of the 300 employees knows this is expected of them, due to the company’s strong internal and external communications program, and training and marketing that emphasize this company culture. Integrity is also consistently stressed: doing the right thing even when no one is looking. For a company where most staff work remotely, this is crucial. And it is what led Capitol to win the prestigious National Capitol Business Ethics Award in 2012. In the end, you and your staff ARE your brand. Consistently staying true to who you are, being the best, delivering what you promise, and setting the standard in your industry are what create and reinforce your brand. Losing focus and straying from your core values will weaken your brand. We’ll show some examples of this, and more examples of great branding, in our next post.